A SPRINKLING of blurry blobs floating 2500km south-west of Perth could mark the end of global intrigue caused by the disappearance of Malaysia Airlines flight MH370 but answers will not come soon enough for families. A Royal Australian Air Force Orion aircraft arrived at the site of the debris, discovered by satellite only hours earlier, while another three planes from the United States Navy, Royal New Zealand Air Force and another RAAF Orion were due to arrive late on Thursday. In a mid-afternoon press conference, Australia Marine Safety Authority's John Young warned while it was the best lead in the hunt for the Malaysian jet, there were still no certainties. 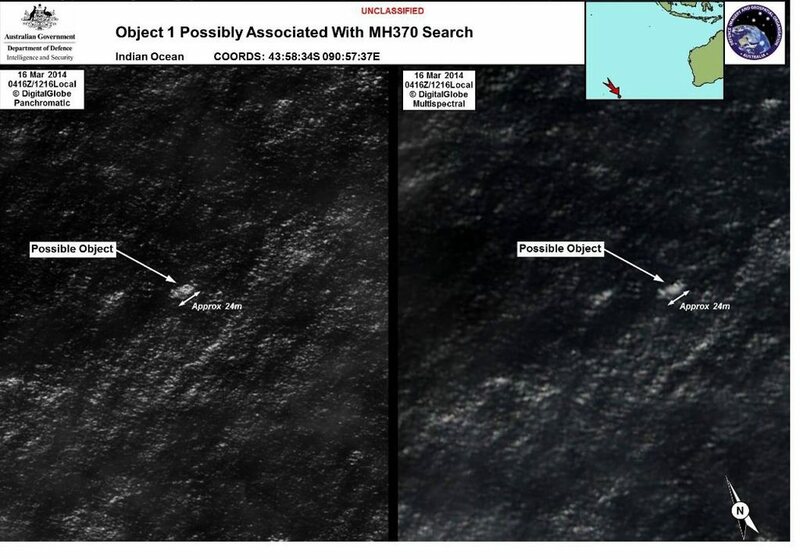 A 24m hunk of debris was the largest spotted in the satellite imagery, but other "blobs" appeared to be a similar size. "They may not be related to the aircraft," Mr Young said. Families have now been waiting more than 12 days for some word on what happened to the lost flight. Irene and George Burrows from Central Queensland are yet to know the fate of their son Rodney and daughter-in-law Mary who are on board. The two were awaiting the arrival of their first grandchild. Mr Young said AMSA would do all it could. "AMSA is doing its level best to find anyone that may have survived if indeed the aircraft came into the southern corridor and if indeed these objects sighted by satellite are associated with the aircraft," he said. "That will put us in a more accurate search area than we have at the moment." The aircraft will be joined by a merchant ship that is being dispatched to the area. Once the planes have pinpointed the debris, the ship will attempt to provide an update from the water. 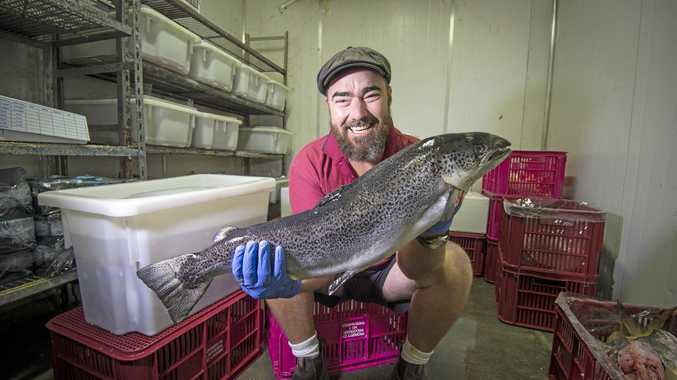 The first Australia knew of this latest sighting was Prime Minister Tony Abbott telling Parliament "new and credible information has come to light". Satellite image of debris found in waters off Perth. Image from Australian Maritime Safety Authority. The Prime Minister said he had contacted his Malaysian counterpart Najib Razak about the possible discovery. Since its disappearance on March 8, the loss of MH370 - bound from Kuala Lumpur to Beijing - has been labelled a hijacking, a mid-air catastrophe or even a complicated suicide plot. 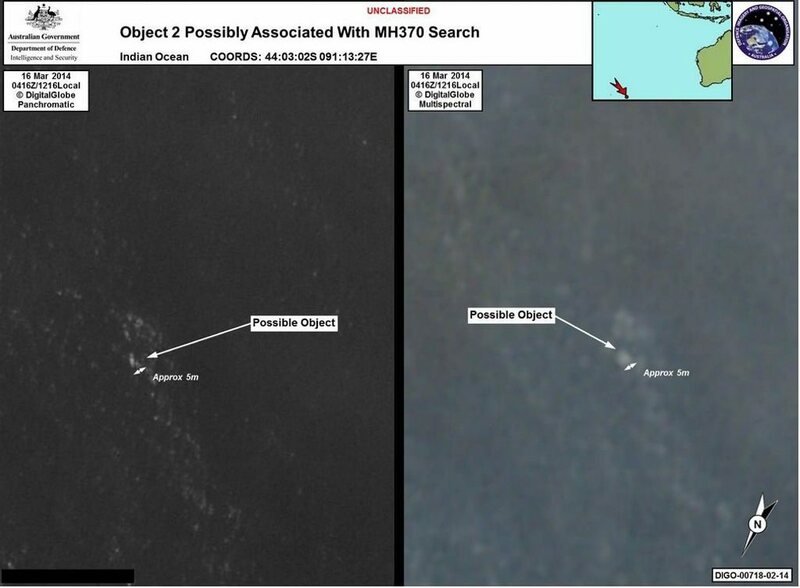 Mr Young said if the debris was indeed a part of MH370, it would take time before the wreckage could be examined. "There are many steps to happen before we would get to that point," he said. "We have to locate it. Confirm that it belongs to the aircraft. Recover it. "Then bring it a long way back to Australia. That would take some time. "What we're looking for is a confirmation that it does belong to the aircraft or it does not. "We'll consider what follows from that."